After “State Tournaments Past,” it’s been easy to show the dominance set forth by the Northwest Conference, when it comes to playing for the coveted Gold Ball. It was never easier to do than March of 2018, when the NWC came away with three of the four championship trophies (with the fourth having been achieved the year prior). To narrow it down, the dominance, during that time, can be attributed to four teams who share the same zip code. State Championships were won in 2018 by the Lynden Christian boys and girls teams, along with the Lynden boys. The Lynden girls won the title in 2017, and took home sixth place in 2018. Heading into the 2018-19 season, there was nothing about those four returning rosters that would lead you to believe that any of them would drop to just an average year. In fact, it was evident that the Lions and Lyncs boys would have a bold separation on everyone, except each other. So, after one championship in 2017, and three more for the foursome in 2018, would it be that farfetched on the first day of practice on November 19, 2018, to think that they could go for the “SunDome Sweep” in 2019? Why, no, not at all. By the time the final 16 teams were slotted for regional play, the Lynden boys and girls teams, along with the Lynden Christian boys, had secured the #1 seeds. The LC girls held a solid #3. The two boys teams had plenty of breathing room over their closest chasers. Well, of course, that didn’t work out perfectly. The teams from the 98264 were sent home with “only” the 2A Boys Gold Ball, won for the second straight year by Lynden. However, all was not lost. The Lynden girls brought home fourth; the LC boys also took fourth; and the LC girls took second. In a normal year, that’s pretty good! Based on the wild expectations that were set up, well, no one could live up to that. Anything less than four would be falling short. But, that was the dream. And what other league, or what other small town, can dare to dream that big? The dreams and expectations will continue because this league is that competitive. I’m sure there are several boys and girls teams in the NWC who can picture themselves playing on the first Saturday in March next year, in the SunDome, making their own dreams a reality. Two of those teams would be Burlington-Edison and Anacortes. Both teams were eliminated in the loser out round on Wednesday. Both also have a strong nucleus on their returning rosters. The Lion boys became the third in program history to win back-to-back basketball championships (61 & 62, 91 & 92). This was their tenth state championship, and they will be talked about as one of their greatest teams ever. Lion players from earlier decades may disagree, sighting a league loss to their rival. However, that LC team should also be compared to the greatest that their program has ever produced. Both teams are responsible for a single blemish on their 2018-19 record. The Lions loss to the Lyncs did not hinder their chances for a state title. The Lyncs loss did, but they can still had a fantastic season, which includes a win over the 2A champions. They also built a 31 game winning streak over two seasons. The Lions, who played the most challenging schedule available, defeated the eventual 3A champions, O’Dea, by 23 points; Marysville-Pilchuck, 3A’s fourth place team by 34, in a game in which Clayton Whitman played only the first 30 seconds. They also beat 1A champion, Zillah, by 36. Their 21 game winning streak was snapped by LC. Going into the 2A tournament, I thought the biggest regional game was that between #7-Selah and #2-Columbia River. I thought Selah would be the greatest threat to the Lions, and the loser of that game, provided they won their loser out game on Wednesday, would slip right into a Thursday, quarterfinal game against #1-Lynden. Selah got the win over Columbia River, and set up an early #1 versus #2, quarterfinal game between Columbia River and Lynden. The Lions got through Columbia River, and a semifinal game against Pullman by identical 52-40 scores. Meanwhile, Selah got wins over #9-Fife and #13-Renton, setting up a Vikings-Lions championship game. The crowd that night was amazing, especially from the Lions aspect. The Vikings, who are all of ten minutes away from the SunDome, were matched fan-for-fan on the Lions side. They certainly had some help from the friendly rivals from Lynden Christian, who stayed for the 2A final. The Lion band was also in attendance, which helped to bolster the largest Lion student section of the season. In the 1A boys tourney, the Kings Knights warmed up by beating Deer Park, 77-40, in a loser out game on Wednesday. The Knights following win over Lynden Christian in the quarterfinals, while at the time seemed like an upset of epic proportions, may not have been the case. Certainly, the Lyncs had more to lose. They were the #1 seed, defending champs, and the 31 straight wins. One of those was a 70-63 win over the Knights, two weeks earlier. That may have been the key to it all. Stating that, “Kings has a really good basketball team,” is like saying, “Chocolate and peanut butter taste good together.” They both just do. The adjustments made by the Knights from game one to game two worked perfectly, in addition to playing flawless at the very same time. The Knights, on that night, played as if they could have won a state championship in any classification. However, the Knights could not parlay their great fortune into a semifinal win. They carried a heavy LC hangover into their semifinal game against Kings Way Christian, trailing at halftime, 21-11. They would eventually lose in the final seconds. The Lyncs, on the other hand, rebounded like the previous 17 hours had been wiped from their minds. They held a 57-16 halftime lead over Seattle Academy, creating a running clock for the entire second half. Losing those lofty expectations, with games remaining to play, can be very difficult to rebound from, especially for seniors. The Lyncs coaches deserve a great deal of credit for readying their team for the next two days, with fourth place as the new goal. That half of basketball, to me, was more eye-opening than what had occurred the previous day. And to finish it off on Saturday, after trailing by three points at the end of the first quarter, they went on to beat Bellevue Christian by 30 points to claim fourth place. The 2A boys All Tournament Team was led by the Lions Clayton Whitman, who was voted the Most Valuable Player for the second year in a row. He was joined in the first team by Elijah Pepper of Selah, Damarco Williams of Renton, Brandton Chatfield of Clarkston, and Jacob Wells of Pullman. In three state tournament games, Whitman averaged 23 points per game for the Lions. He hit 27-52 shots from the field, showing a proficiency for scoring from anywhere on the floor. Lynden’s Christian Zamora made the second team, along with Noah Pepper of Selah, Malachi Afework of Fife, O’Shae Barquet of Renton, Bryson Williams of Fife, and North Kitsap’s Shaa Humphrey. The 1A boys MVP was Antonio Salinas of champion Zillah. Joining him was Khalfani Cason of Kings Way, Cole Bajema of Lynden Christian, Tyler Lindhardt of Kings, and Ken West of Bellevue Christian. Second teamers were: Weston Ide of Zillah, Bryson Metz of Kings Way, Avery Seter and Hunter Ecklund of LaCenter, Eyon Zevenbergen of Kings, Andrew DeVries of LC, and Cesar Diaz of Zillah. Cole Bajema was recently named as the Most Valuable Player of the Northwest Conference for the second consecutive season. He was also named as the 1A Player of the Year by the Washington Interscholastic Basketball Coaches Association (WIBCA). Clayton Whitman was named as the WIBCA’s Player of the Year for the 2A classification. Keep these names in mind in the coming days when the Associated Press names their Players of the Year. The invention of the 2A classification goes back to 1998. There have been 22 tournaments played. The Northwest Conference owns ten titles in that time, and has finished second, another ten times. Lynden has four of those ten championships. Going back to a Lynden Christian 2A championship in 2006, NWC teams have won seven of the 14 championship games, and have finished second, another seven times. In the last 14 years, the NWC has had at least one team in the 2A championship game, 12 times. In the 22 year history, there have only been five years in which there was not an NWC team playing for the 2A championship. All these tournaments and seeds and things make me look for interesting trends in the ways that the seeds played out. Well, I don’t know if they are interesting, but there were some trends. First, the #1 seeds went the distance three times in boys tournaments and three times in girls tournaments. Ten of the 12 #1 seeds placed in the top six of their respective tournaments. The two that did not place were both in 4A, the Union boys and the Woodinville girls. The top two seeds did not play for the championship in any of the six boys tournaments. They played twice on the girls side, in 3A and 1B. Take the regional round game where the #7 seed plays the #2 seed. There are six classifications, so those teams met 12 times. The #7 seed won seven of the 12 meetings. That seems to be comparable to the “Big Dance,” in which the #12 seed always seems to beat the #5. There were low seeds that had high finishes. The Renton boys were the #13 seed, and finished third in the 2A tourney. O’Dea, the #11 seed, won the 3A boys tournament. The #8-Eastlake girls won the championship in their 4A tournament. Other than the 4A #1’s that did not place, 2A boys Columbia River was the only #2 seed not to place. In 1A boys, there were three double-digit seeds that finished in the top six. The 1B girls tournament held closest to form. The top six seeds all placed, but not in order. I’ve heard many coaches and observers of state tournaments over the decades agree that the best team going in, doesn’t always come out. I don’t know what percentage you could put on it. Maybe the best team on the season wins the tournament half the time? In 2A this year, the best team won. In 1A, the best team didn’t. It’s very hard to win one. And it’s certainly harder to win two. It’s been a season of severe ups and downs, for me included. The season goes by in the blink of an eye, while the off-season seemingly takes decades to pass by. It’s never too early to wonder about next year. I wonder which hand will produce my best penmanship by then! The 2018-19 All Northwest Conference Boys Basketball teams are led by Most Valuable Player, Colson Bajema, senior, from Lynden Christian. The Coach of The Year award goes to Brett Senff of Anacortes. For the complete first and second teams, please see the attachment below. The Lynden Lions defeated the Selah Vikings, 60-51, for the 2A State Championship, Saturday, March 3, in the Yakima SunDome. It was the tenth state championship for the storied Lions program. And in doing so, became the third group of Lions to win back-to-back state championships. The Lions have used the first quarter to dominate teams this season. They took a 14-10 lead after the first eight minutes, but it was the second period where they Lions separated themselves from the Vikings. An 18-6 second quarter sent the Lions to the locker room with a 32-16 halftime lead. Clayton Whitman, the tournament’s Most Valuable Player, scored 15 points in the first half, shooting 6-9 from the field, and 3-4 from 3-point range. When you give up just 16 points to a team that averages 68 points per game, you are doing something right on the defensive end. That was apparent in the final seconds of the first quarter, as the Vikings were holding for the last shot. With the ball in the hands of one of the state’s all-time leading scorers, Selah’s Elijah Pepper, the Vikings were trying to cut their four point deficit. As Pepper began to work the dribble for an opening, he couldn’t find one, under the watchful eye of Lion senior, Blake Silves. And, with the awareness of the rest of the defense, a shot clock violation resulted, which seemed like a goal line stand. The defensive combination of Silves and Kobe Elsner put the clamps on Pepper, as he scored only four points on 1-6 shooting in the first half. Meanwhile, the flood gates opened for Whitman and the Lions. Whitman nailed a 3-pointer in transition, then Elsner hit his second three of the game. Then Whitman followed with a step-back NBA line 3-pointer that gave the Lions their 16 point halftime lead. However, the explosive Vikings would not go down easily. Christian Zamora, who was held scoreless in the first half, got loose for back-to-back 3-pointers, early in the third quarter. The second gave the Lions a 40-20 lead. From there, the Vikings began to chip away. Elijah Pepper began to do what he does best, maneuvering his way inside for scores, or setting up defenders for long 3-pointers. He hit two in a row in the third quarter, and along with one from sophomore brother, Noah Pepper, and Calvin Herting, the Lions lead shrunk to just five points with 5:07 to play in the game. But the Lions weathered the storm, and righted their ship. With just over two minutes to play, the Lions milked time on their possession. A shot was missed, and caromed far into the left corner. An athletic save by junior, Brock Heppner, bought the Lions more time. When the next shot was missed, an alert James Marsh tipped the ball toward center court, where it was grabbed by Zamora, for a third possession. The Lions were able to build the lead to 55-45 with 1:23 left. Whitman finished with 19 points and nine rebounds. Zamora, who made all-state second team, scored all 13 of his points in the second half, while collecting 11 rebounds. What really won this game for the Lions, was the work of the “role players.” Elsner made two 3-pointers and recorded a season high 11 points. Marsh scored eight points and grabbed six boards, and Heppner hit 3-5 shots for seven points and six rebounds in 18 minutes. For the Vikings, Elijah Pepper finished with 20 points, while Noah had 15. Both were held well below their averages. The Lynden Lions also won back-to-back state championships in the 1961 and 1962 seasons, as well as the seasons of 1991 and 1992. The Lions put themselves through a grueling schedule this season. They finished with wins over 3A champion, O’Dea, as well as 1A champion, Zillah. Given that, and their 26-1 record, this may be their best team ever. Let the discussion begin. It was business as usual for the Lynden Christian Lyncs, as they wrapped up fourth place in the 1A Boys State Tournament with a 78-48 pounding of Bellevue Christian, Saturday, in the Yakima SunDome. Both teams had fresh legs early, as the Vikings took a 21-18 lead after one quarter. After that, however, it was all Lynden Christian. The Lyncs used a 16-5 second quarter to pull away, as senior Cole Bajema scored 15 of his 23 points in the first half. Bajema also collected 14 rebounds. In the third quarter, Andrew DeVries hit four straight 3-pointers. In fact, he scored 11 consecutive points for the Lyncs in less than a two minute stretch. DeVries finished with 20 points, and hit 6 of 11 threes. In the final minute, Coach Roger DeBoer removed his seniors from the floor, one at a time so they could be recognized by their fans. High-fives, hugs and tears followed. While the Lyncs could not successfully defend their 2018 state championship, they did have some memorable wins in the 26 they piled up. The Lynden Lions defeated the Pullman Greyhounds, 52-40, in a state semifinal game, Friday, at the Yakima SunDome. The Lions will compete for their second consecutive, and 10th overall state title, Saturday night at 9pm. They will play the winner of the semifinal game between Renton and Selah. The 52-40 score is identical to the Lions Thursday win over Columbia River. In both games, the first quarter was the Lions best. For the Lions, the first half was all Clayton Whitman. That’s when Whitman scored 18 of his 28 points, using a variety of drives to the rim, while sprinkling in step-back 3-pointers. He was the only Lion starter who shot better than 50 percent from the field, as he hit on 10 of 16, with two 3-pointers. Christian Zamora hit three 3-pointers and finished with 12 points, as the only other Lion in double-figures. After building a 13-6 lead in the first quarter, the Lions maintained control of margins that went between four and ten points. Brock Heppner’s 3-pointer with 2:30 left in the game, gave the Lions their largest lead of the game, which was 13. Pullman won back-to-back championships in 2013 and 2014, defeating Anacortes and Lynden in championship games. This Lion group, now 25-1, will try to capture the programs third set of back-to-back state championships. The first came in 1961 & 1962, along with 1991 and 1992. Responding to a tough loss can be difficult. Responding to a state tournament loss can be even more so. Responding to a state tournament loss in less than 17 hours? That sounds impossible. However, the Lynden Christian Lyncs showed that youth can indeed turn the page quicker than the rest of us. Not that they had a lot of choice, but the Seattle Academy Cardinals picked the wrong day to play the Lynden Christian Lyncs. Though the teams had played competitive games twice this season, neither the Cardinals, nor anyone else, had seen the Lyncs after a loss. Now they have, as the Lyncs crushed the Cardinals, 75-39. Lyncs coaches and fans didn’t have to wait long to see how their team would react. The Lyncs came out on fire, taking an 8-0 lead. But it didn’t stop there. Riding a wave of open court offense, deadly 3-point shooting, and team defense, the Lyncs cruised to a 27-8 lead after one quarter. The second quarter was no better for the Cardinals, as the Lyncs topped that with 30 second quarter points, and a 57-16 lead at halftime. Senior Jake Libolt’s jumper with 12 seconds left in the half, put the Lyncs up by 41 points, and assuring a running clock for the entire second half. The Lyncs shot 63 percent in the first half, led by junior Andrew DeVries, who hit 4-5 3-pointers and scored 19 points. Senior Cole Bajema, added 14 more, as the Lyncs totaled 12 assists on 20 first half field goals. With a 41 point halftime lead, the final 16 minutes took just slightly longer than that to play. The Lyncs substituted freely during the quick second half. DeVries finished with 22 points, and Bajema 14. The Lyncs, now 25-1, will play for 4th and 6th place, Saturday, at 930am, in the SunDome. They will take on the Connell-Bellevue Christian winner. The Kings Knights, spearheaded by the performances of two freshmen, dominated the Lynden Christian Lyncs, 73-50, Thursday night in a state quarterfinal game in the Yakima SunDome. The Knights will play Kings Way Christian, Friday in one semifinal, while the Lyncs will take on Seattle Academy, in a loser out contest, also on Friday. The Knights went inside to the versatile 6-5 freshman, Tyler Linhardt, who scored nine points in the first 3:12 of the game. Six of those entailed moves around the hoop, along with nailing a 3-pointer. Another Knights freshman was in the center of a his teams torrid shooting first half. Jordan Hansen came off the bench and drained four 3-pointers, as the Knights shot 6-10 from beyond the arc in the first half. The Lyncs tied the score at 11-11 with three minutes left in the first quarter, but the Knights scored the next nine points, and never looked back. They rode their hot shooting to a 37-22 lead at halftime. The Knights had more than just good offense working. They were able to double-team Cole Bajema enough to keep him from getting any routine looks at the basket. At the same time, they also were able to put the clamps on Andrew DeVries, and dare anyone else to beat them from the outside. Lyncs sophomore Jaden DeBoer, a steady outside shooter, came off the bench to try to provide a spark from the outside, which he did. The Knights defense, basically left him alone at the 3-point line. DeBoer shot well, hitting 5-13 3-pointers, and leading the Lyncs with 15 points. But that is not part of the Lyncs winning combination. If the Lyncs held out any hope of a comeback, they had to start quickly in the second half. But, down 14 in the second minute of the third quarter, the Knights got back-to-back 3-pointers from senior, Hunter Reeves and sophomore, Shane McGaughey-Fick, to quickly extend the lead to 20. Bajema was held to a 1-7 night from the field, and scored only four points. Junior, Andrew DeVries missed his only two attempts from the field, and did not score. And, senior center, Cristian Colwell, got only two field goal attempts, and scored six points. Senior Luke Bos shot the ball well early, and finished with 11 points for the Lyncs. The Knights shot 51 percent for the game to LC’s 37 percent. Kings connected on 10-23 3-pointers, to the Lyncs 7-32. This was the first loss in 32 games for the Lyncs, who defeated the Knights, 70-63, in the Northwest District championship game, two weeks ago. The Lyncs knew at that time, that the Knights would be trouble in a rematch. Lynden Christian now moves to a 12:15pm game on Friday, against Seattle Academy, who the Lyncs have beaten twice this season, most recently, for the Bi-District championship, 65-54. That is a loser out game, with the winner advancing to Saturday, to play for 4th & 6th. The Lynden Lions began defense of their 2A championship, by defeating the Columbia River Chieftains, 52-40, in a state quarterfinal game, Thursday, at the Yakima SunDome. After an “oh, too familiar,” 14-2 start for the Lions, everything unraveled over the next eight minutes. The lead went to 16-2 on two free throws by Christian Zamora to start the second quarter, and then the Lions went dark. The Chieftains crept back slowly. Kobe Elsner scored inside to give the Lions an 18-4 lead with 5:03 left in the half. The Lions led 18-11 at the mid way point of the quarter, and the momentum built until junior, Alex Miller, hit a tying 3-pointer with 1:30 left in the half. The Lions endured eight straight empty possessions after the Elsner layin, until Clayton Whitman sank two free throws with 22 seconds left in the half. On the first possession of the second half, the Lions went into a trapping defense. James Marsh stepped into the only outlet for the Chieftain, sandwiched between Blake Silves and Zamora, and intercepted a pass at the sideline. He found Whitman on the run, who scored on a layup, to get the Lions moving again. In fact, that score by Whitman was the first two of 12 points he would score in the quarter. Another Chieftain 3-pointer by Miller cut the Lion lead to 35-29 with 12 seconds left in the period. Silves then raced the dribble quickly up the floor, and drew a foul on a 3-point attempt at the buzzer. He hit all three free throws to give the Lions a nine point lead, starting the fourth quarter. The Lions were in control from there, but didn’t put the Chieftains away until the final minutes, building a 52-37 lead with 1:25 left. Whitman scored 22 for the Lions, while Zamora finished with 14 points and eight rebounds. Point guard, Elsner, came up with seven rebounds. The Lions and Chieftains, the #1 and #2 seeds, faced off early in the state bracket due to the Chieftain’s regional loss to #7-Selah. The Lions, now 24-1, will play Pullman (21-5), who was a quarterfinal winner over Great Northern League rival, Clarkston, on Thursday. The Lions and Greyhounds will play the first semifinal of the day, beginning at 3:45pm on Friday. The Anacortes Seahawks and the Burlington Edison Tigers each saw their seasons come to an end in the first round of the 2019 Hardwood Classic, in the Yakima SunDome. The Seahawks lost to the Columbia River Chieftains, 49-37, while the Tigers were eliminated by the Renton Indians, 57-52. The Seahawks, sporting their usual “all blonde” state tournament look, now understand that blonde’s don’t have more fun. Juniors, Grayson Eaton and Kaeden Flynn kept the Seahawks close in the first half, combining for all 21 Seahawk points, as the Chieftians led by six at halftime. Eaton and Flynn shot 9-12 form the field, combined, while the rest of the Seahawks went 0-10. Senior Cort Senff hit a free throw early in the third quarter, then finished a 6-0 Seahawk run with an NBA distance 3-pointer to tie the game at 27-27. However, the Seahawks could muster only four points over the next 9:14, as the Chieftians took control, with a 47-31 lead with 3:10 to play. Eaton finished with 13 points for the Seahawks, while Flynn had 11. The Seahawks shot 35 percent from the field, including 1-11 from 3-point range. Columbia River, 22-3, champions of the Greater St. Helens League, and the #2 State RPI, will take on #1 Lynden, Thursday, at 10:30am in a state quarterfinal game. This was the sixth trip to the SunDome in the last eight years for the Seahawks. After an 0-4 start to the season, the Seahawks finished with a record of 16-9. The Indians never trailed after a 9-2 start, and took a 17-10 lead at the end of the first quarter. The Tigers tied the game at 22-22 on an inside move by senior, Taino Ferdinand, with 2:30 left in the half. However, turnovers in the final moments of the half, paved the way for an 8-2 run by the Indians, and a 30-24 lead at halftime. Renton went for quantity over quality, as they took 38 shots in the first half, but hit only ten, for 26 percent from the field. However, they did stroke 5-9 from 3-point range. Trailing by 11 starting the fourth quarter, the Tigers closed to within 45-43 with 4:45 to play, but could never tie or take the lead. They stayed within striking distance, and had chances, but could not push themselves over the top. Their 13 second half turnovers, hindered that ability. Ferdinand, at 6-5, spent 32 minutes maneuvering around the key, with the presence of Renton’s senior center, Jason Bowen, a 7-footer. Despite that, the active Ferdinand finished with 15 points and 14 rebounds. Bowen scored four points on two put-backs, and collected 12 rebounds. Junior Wyatt Walker scored 14 points for the Tigers, but only two of those in the second half. In 2018, the Tigers were eliminated by Fife in the regional round, in Coach Chas Kok’s first season as head coach. This year, they got one step farther, and finished the 2019 season with an 18-9 record. The Mt. Vernon High School gym, again, proved to be a home away from home for local Northwest Conference teams. The NWC went a perfect 6-0 in The Palace on Friday and Saturday, and in all, will send nine teams to Yakima for next week’s 1A and 2A boys and girls state tournaments. In fact, the only loss suffered by NWC teams, was the Burlington-Edison boys 69-68 loss to Pullman, in overtime, Saturday at Everett Community College. However, the Tigers are still packing for Yakima, as their game was not a loser out contest. All nine teams that went into regionals, came out of regionals. The Meridian girls defeated Bellevue Christian, 40-26, at Issaquah High School on Saturday. That sends the Trojans straight to the state quarterfinals on Thursday, at 2:00pm. They await the winner between Medical Lake and Kings, which will be played on Wednesday. The Anacortes girls won a loser-out contest, Saturday in Mt. Vernon. They eliminated North Kitsap, 65-49, to advance to a Wednesday, loser out game against East Valley-Spokane. The Eagles were the state’s #2 seed, but lost to Washougal on Saturday. The Burlington-Edison girls also avoided elimination on Saturday, by defeating Renton, 53-42. The Tigers will play a loser out game on Wednesday, against defending 2A champion, WF West. The Bearcats were hammered by Lynden, 66-45. Teams from Lynden did rather well on Saturday. The Lynden and Lynden Christian boys and girls teams all advanced to Thursday quarterfinal games. The closest contest of the four, was the LC girls 18 point win over Annie Wright. To recap: the NWC already owns five quarterfinal spots, and have four other teams trying to make the quarterfinal field, playing loser out games on Wednesday. These two teams had already met in a holiday tournament in December at Everett Community College. That game was won by the Seahawks, 56-51.
Credit the defenses for the offensive struggles in this one, although the Seahawks were able to just enough offensively, to take 10-7 and 26-18 leads at the first two quarter breaks. The Seahawks edge was at the free throw line, where they hit 8-12 in the first half, to only 2-3 for the Wolves. The table turned in the first four minutes of the third quarter, as Black Hills went on an 11-2 run, and took a 29-28 lead. From there, the game stayed tight with the Seahawks taking a 33-32 lead into the fourth quarter. A 3-pointer by Seahawk junior, Grayson Eaton, broke a 35-35 game with 3:51 left. However, Black Hills senior, Jackson Bauer, had the answer at the 3-minute mark, to tie it again at 38. After several empty possessions by both teams, the Seahawks opened up a four point lead by scoring off of two offensive rebounds. Then, late in the final minute, free throws by senior Duane Jedlinsky, and Eaton, sealed the victory for the Seahawks. Eaton led the Seahawks with 13 points, scoring seven of those in the fourth quarter. After a year away, the Seahawks (16-8) will return to the SunDome for the sixth time in the last eight years. They will take on Columbia River, the state’s #2 seed, in a loser out game at 10:30am on Wednesday. The Chieftains are champions of the Greater St. Helens League, and own a 21-3 record. They lost their regional game to Selah, 66-61. The #3 seed Lyncs were assigned the task of controlling #6 seed Annie Wright, and their two young guards who average a combined 55 points per game. Though it may not have seemed like it if you were watching, in the end, they did just that. The two guards combined for exactly their average, but the Lyncs overall game was too much for the Gators. The Lyncs advanced to the state quarterfinals, with a convincing 77-59 win. The play of 5-4 Annie Wright sophomore, Julianna Walker, is difficult to explain. But it’s safe to say, I don’t think she has ever lost a game of H-O-R-S-E. She has an ability to get shots of without much space needed. And, once it’s in the air, don’t count on many misses. Her range is undefined. The volleyball line seems, at times, like a layup. And, the more the defenders, the merrier. I thought it might be better if they didn’t try to help her by setting screens. That It just cluttered things up. But she was still able to get shots off among double and triple-teaming. Walker scored all of her teams 13 first quarter points. The first three of which came from a step-back 3-pointer, as the shot clock expired. She would score 27 in the first half (38 total), but it was the Lyncs with a 39-32 lead at halftime. LC discovered a wealth of opportunities against the interior of the Annie Wright defense. LC junior, Riley Dykstra, scored nine points in the first quarter, all from close range. She would finish with 16. Seniors Isabela Hernandez and Grace Sterk took over in the paint in the second half, each scoring 12 points. Hernandez finished with 19, and Sterk 14. The Lyncs (21-3) will play either Overlake or Elma, in a state quarterfinal game, Thursday, at 12:15pm. The defending 1A champions are making their 20th consecutive state tournament appearance. They have won 12 state championships. Senior Luke Bos got the Lyncs going, scoring six if his ten points in the first eight minutes. Six players scored for the Lyncs in the first quarter, as they took an early 16-4 lead. That lead closed to 19-13 at the end of the quarter. Connell seniors, Austin Smith and Silas Chase, combined for all 15 points for the Eagles in the second quarter. The Eagles made a nice run to tie the game at 24-24, with four minutes to go in the half. The next four minutes belonged to the Lyncs, and they finished the half with a 38-28 lead. Lyncs senior, Cole Bajema, had only four points by halftime. But it wasn’t that he struggled. He only took a handful of shots, but it was the “balance” that created itself in the LC offense. The Lyncs would pull away in the second half, and would finish with five players in double-figures scoring. Cristian Colwell led the way with 17. Cole Langstraat had 15, off the bench. Bajema and Andrew DeVries each scored 11, and Bos 10. Bryce Bouwman finished with nine, all in the fourth quarter. The Lyncs will step onto the SunDome floor on Thursday, at 5:30pm, for a state quarterfinal game. They will play the winner of Wednesday’s game between Kings and Deer Park. The defending 1A champions have had their name etched on the gold ball six times. On their way to the 2018 2A state championship, WF West defeated Lynden in a regional round game. The Lions would go on to finish sixth in the state. This year, the Lions got their regional revenge, in a big way. The Lions scored the first 13 points of the game, and never looked back. It was 18-2 with 3:50 to go in the first quarter, as the Lions defense seemed to suffocate the much taller Bearcats. The Lions settled on a 22-14 lead after one quarter, and then held the Bearcats to a single field goal, and four total points in the second quarter, and a 32-18 halftime lead. The game plan for the much taller Bearcats: pound the ball inside to any of their much taller post players. That plan didn’t last long, as the quick Lion defenders got their hands on several entry passes, which created early turnovers and fast break opportunities. The one thing that the Lions seem to thrive on are simply, box outs. They are one of the best teams I have ever seen at finishing off their defensive efforts with a rebound. And, given their overall size, what choice do they have with no one over 5-8? Every team teaches it. Every team does it. But the Lions take it to the next level. They focus on making contact with offensive players, and really holding their position. There has been several times where, having boxed out the offense so well, they could have let the ball bounce once on the floor before going after it. The Bearcats top three scorers, all inside players ranging from 5-10 to 6-1, combine for 34 points a game. The Lions held them to 13. And they had good offense too, getting four players, and almost a fifth into double-figures. Juniors Keylie Hershey and Liv Tjoelker scored 13 each. Senior Blakely Doerge added 12, with three 3-pointers in the fourth quarter. Sophomore Anna VanderYacht added 10 more, with junior Ruby VanderHaak finishing with nine. The Lions quarterfinal game will be Thursday, at 5:30pm in the SunDome. They will play the Anacortes-East Valley-Spokane winner. This is the Lions 12th trip to state in the last 13 seasons. They have placed eight times in their last ten trips, including two championships, most recently in 2017. Just like their girls team, the Lynden boys used early turnovers en route to an 18-2 lead over the Cardinals. The Lions have been known for their great defensive teams over the years, but none have gone through a recent stretch such as this. In four post-season games, the Lions are giving up 34.4 points per game. Only once did they give up more than 20 points in a half (23 by B-E), in that stretch. Franklin Pierce had a 12-1 record in the SPSL, and were 23-3 overall. They play a fast paced, mostly unscripted style. However, they have had games where turnovers have been a problem, notching 30 in a game this year. They Lions proved to be just as quick on the floor, and their team defense created 17 Cardinal turnovers in the first half. Many of which the Lions turned into fast break opportunities. Franklin Pierce hit only four field goals in the first half, and seven through the first three quarters. Meanwhile, Lion seniors Clayton Whitman and Christian Zamora were doing what they do. Scoring, defending, and finishing with highlight reel plays. Zamora finished with 20 points, to Whitman’s 19. Lion senior, Dakota Baar, came off the bench in relief of senior, James Marsh, due to foul trouble. Baar played very well in his role, accumulating nine points in the process, before fouling out himself, in the fourth quarter. The Lions quarterfinal game will be Thursday, at 1030am. They will take on the winner of Wednesday’s loser out game between Anacortes and Columbia River. The defending 2A champion Lions, are making their seventh state trip in the last eight years. They will be trying for their tenth state championship. The season has had its ups and downs. I know I have! The snow storm and subsequent delays and postponements seemed to take forever to get through. However, looking back, the season has gone by in a blink of an eye, as it always does. For me, this will be 35 in a row. For a little while, that streak was in a bit of jeopardy, but I’m happy to say that I will be going back to an event in a city I love going to, even though sometimes, I don’t think “it” feels the same way! After having no games over many days, suddenly, there were many games in very few days. The question for all was, who would be able to best use their time off? I don’t think anyone went on a Hawaiian vacation (teams that is). It seems as though everyone came through the snow induced layoff just fine. The only thing left to do would be to negotiate the condensed tournament schedules. Most teams went seven days without a game. However, 2A teams that finished high enough to earn the coveted first round bye, were off two full weeks. The first game I saw after the break was a good one. On Wednesday, Lynden Christian and Kings met at Mt. Vernon High School. The Lyncs beat the Knghts 70-63, sending the Lyncs to the Bi-District title game against Seattle Academy. I expected the teams to come out somewhat sluggish. Maybe the rhythm and timing would be off for a few minutes. I was wrong! Actually, I had the right answer, but just in the wrong place. It was a very well played first half, as the Lyncs took a 37-30 lead. LC’s Cole Bajema was in playoff form, scoring 12 of his game-high 30 points in the first quarter. The third quarter is where the snow effect took place. After six minutes of play, each team had ripped the nets for six points. Exactly what I thought would have happened two quarters earlier. The fourth quarter was back to normal. The Lyncs hit 12-14 free throws in the final eight minutes to hold off the Knights. Cristian Colwell had an excellent game around the rim for the Lyncs against a lengthy Knights front line. Colwell scored 13 of his 15 points in the first half. The Kings Knights are good enough to be playing on the final Saturday in Yakima. Also on Wednesday, Meridian blasted Cedar Park Christian 63-40 in a 1A loser out contest. The Trojans were led by juniors, Jackson Short’s 25 points, along with Ryan Johnson’s 19 point, 9 rebound performance. The very next day, the Trojans beat Eastside Prep 72-50, in another loser out game. This was the first round of the Bi-District tournament. However, the following day, they had to travel to Overlake, the #2 team from the Emerald City League, where they were eliminated, 69-50. Thursday was the start of the double-elimination district tournaments for 2A and 3A. Squalicum was eliminated from the 3A tourney after losses to Arlington and Shorewood. 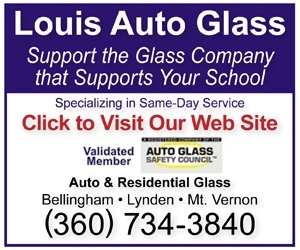 In 2A, Burlington-Edison edged Liberty 58-55, while Lynden rolled over Bellingham 68-27. In that game, the Red Raiders opened in a delay game offense, and took an 8-4 lead, four minutes into the game. The difficult part of that is you can’t hold on to the ball like you used to be able to do, prior to the shot clock. But, it was a solid strategy, none-the-less. Once the Lions schemed their defense to pick up the pace, they really got rolling. I mean, they really got rolling. The Lions scored 15 straight before the Red Raiders could break the streak with their only two points of the second quarter. Then the Lions ran off another 20 to take a 39-10 halftime lead. After scoring the first two points of the third quarter, the run reached 37-2 over roughly 13 minutes of play. All that set up a Tiger-Lion double-header, as the same girls teams tipped off the Friday event at Jake Maberry Gymnasium. These games were both district semifinals contests, with the winners advancing to the district championship games, and being assured a spot in the regional round. In the opener, Lynden junior Ruby VanderHaak, had a game-winning 3-point shot in the Lions 43-40 victory. In the nightcap, it was again the Lions and their defense. The Lions held the Tigers to 15 first half points, on the way to a 63-38 win. Anacortes defeated Sehome in the other semifinal, on Friday. This was the Seahawks eleventh win in their last twelve games. And after playing all their home contests at Skagit Valley College this year, the Seahawks found a new temporary home, playing two tournament games at Oak Harbor High School. Friday’s 2A elimination games saw Mountlake Terrace eliminating Lakewood 70-58, and Liberty ending Bellingham’s season, 70-51. When Saturday rolled around, it was the third game in three days for everyone, and we had finally reached Mt. Vernon High School. Burlington-Edison and Mountlake Terrace tipped off roughly 16 hours after their games ended on Friday night. The difference being that MLT won at home, while the Tigers had a bus ride after the loss at Lynden. But the Tigers turned the page from Friday rather quickly, and were on their game from the opening tip, taking a 16-6 lead after one quarter, and a 35-19 lead at halftime. There was lots of urgency in this one. An incredibly fast and physical pace lasted for 32 minutes, as the Tigers eliminated the Hawks, 59-43. By my count, the Tigers hit 18 of 19 free throws in the game. That’s tough enough to do in the gym by yourself, let alone in your third game in as many days. Jackson Reisner and Taino Ferdinand scored 15 points each, Wyatt Walker added 12. The other elimination game went to Liberty, as they ended Sehome’s season, 80-73. This was also a game that was played with extreme urgency by both teams. Liberty’s 6-4 senior Jake Elfstrom is an extremely gifted shooter, and a three year starter. He gets the focus of opponent’s defenses. On this day, however, Elfstrom found himself in early foul trouble, and spent most of the first three quarters on the sidelines, with just two points. However, Gianni Almeda, a 6-3 senior, more than picked up the slack for his teammate. Almeda could not miss, whether it was a dribbling drop-step spin-fall-away in the key, or a 3-point bank-shot that beat the halftime buzzer. Almeda tossed in 22 points in the first half. Almeda was held to just three points in the third quarter, while Elfstrom was still stuck on the single bucket. However, the Mariners lost ground on the Patriots six point halftime lead. The Mariners gave it a valiant effort in the fourth quarter, as they started the final eight minutes trailing 52-38. Sehome scored an astounding 35 points in the fourth quarter. Unfortunately, Liberty scored 28, as Elfstrom came alive for 13 of his own. Almeda finished with 31 for the game. In his final game as a Mariner, senior Eddy Hochsprung scored 18 of his 25 points in the second half, using a variety of twisting, off-balance maneuvers, that seemingly few other than Eddy can accomplish. Senior Michael McLin also had a big fourth quarter, scoring 14 of his 18 points. The girls championship game went to the Lynden Lions, as they defeated yet another, much taller opponent, the Archbishop Murphy Wildcats, 54-41. Friday night’s hero, Ruby VanderHaak, led the Lions with 16 points. The boys championship would match the Anacortes Seahawks and the Lynden Lions, two teams very familiar with district championships. The Lions beat the Seahawks 74-36 back in mid December, but this is a much better Seahawk team. They would also be in a great position, as having already earned a regional spot, they would want to see if they could put some pressure on the Lions. Anacortes came out playing their usual fast-paced style at both ends of the floor. And, it took some time, but by halftime, the Lions had forged a 33-18 lead. Lion senior, Blake Silves got loose for three 3-pointers in the first half, and matched fellow senior, Clayton Whitman’s nine points for the half. The Lions broke things wide open in the third quarter, as Whitman would score 14 of his game high 23 points. One play was particularly impressive, and it began with Whitman’s heads up defense on an Anacortes inbounds play, under their own basket. With the five-second count nearing an end, the ball was lobbed in toward center court. Seeing this, Whitman stayed close to the Anacortes receiver as he back peddled to get the inbounds pass. Whitman leaped and tipped the ball over the Seahawk, into Lynden’s front court, where he managed to get to it after the first bounce, take it to the rim for a two-handed dunk. On the 1A side, Lynden Christian, who defeated Seattle Academy 73-55 in early December, notched a 65-54 victory over the same team for the Bi-District championship. The LC girls also won a Bi-District championship, as they beat Overlake, 60-46. What’s next? Well, there’s just a little bit more to do before the state RPI numbers become official. In District 1 boys, Burlington-Edison will have a rematch with Liberty on Monday for third and fourth place. That game will be played at 1:30pm at MVHS. Both teams have qualified for the regional round so it doesn’t seem like a game with much meaning. However, Burlington is now #5 in the RPI, with Pullman #4. Since #4 plays #5 in the regional round, a win could mean the difference of traveling east, as opposed to hosting the game close to home. A loss to Liberty could drop the Tigers to 6th or 7th, but that’s just a guess. Though much more difficult to see, a win for Liberty could also mean a game close to home. The Patriots will be in the 9-16 range, but #9-12 will be the host teams. A win may vault them in to a hosting position for a loser out regional game. There are only a few games around the state in the 1A or 2A classification that will be played on Monday, but they still could have an impact on local teams, specifically the LC, Meridian and Lynden girls. All games, scores and records must be completed by 5:00pm on Monday, per the WIAA. I would estimate that seeds could be out Monday night, as they want to give teams as much time as possible to plan for games and travel. For 2A boys, we still have the Burlington-Liberty game to add to the RPI, but at this point, it looks as though #1 Lynden will be matched up with #8 Franklin Pierce (23-3) of the SPSL. Anacortes is the #10 seed, but will still have math involved pending the outcome of the Burlington game. If things remain the same, they could host #15 Black Hills (14-9) of the Evergreen Conference, in a loser out game. Liberty is currently #14, and would play #11 Steilacoom in a loser out. The Lynden Christian boys, the runaway #1, would host #8 Connell (19-4) of the SCAC. Kings, currently #10, is looking at a loser out game with #15 Cascade Christian (14-10) of the Nisqually League. The Lynden girls, who regained the #1 seed after their win over Archbishop Murphy, right now is looking at #8 Burlington-Edison. However, the Tigers will play Anacortes in a 3rd/4th place game at noon on Monday at MVHS. A win or a loss by the Tigers should be enough to move them one way or the other. That would leave Lynden with either Washougal (19-4) from the Greater St. Helens, or WF West, (17-6) from the Evergreen. If Burlington moves to #7, they would go east to play East Valley-Spokane (19-3) in the Great Northern League. A loss would put them in the loser out side, but they would host a #15 or #16 seeded team. A win by the Anacortes girls would also vault them into a host team in a loser out game. They would probably be a #10-12 seed. The Lynden Christian girls are the #3 seed. Their opponent is less determined than any I have listed here. It is possible that it is Annie Wright (19-3) from the Nisqually, but they have a game on Monday against Cascade Christian, who would be a low seed if they get in. If Annie Wright loses, Meridian is a possible opponent for LC. That game would not be loser out. If Meridian stays at their current #7, they would play the #2 seed, which is La Salle (23-0) from the SCAC. To review the regional process, seeds #1-8 are the top group, and their regional games are not loser out. The winners play at state in Yakima on Thursday. The losers start state week with a Wednesday game, which is loser out. Seeds #9-16 also play, but their regional game is loser out. Those four winners will play in Yakima on Wednesday against the four losers from the #1-8 seeds. With so many local teams with hosting positions, I would expect the MVHS gym to again host a full complement of regional games on Friday night, February 22, and all day on Saturday, February 23. It seems that local athletic directors perspired more than the athletes this week. Because of the early week weather problems, all of our respective district tournaments had to be postponed. That meant a lot of work by AD’s to get things lined up again. You can bet that they now have back-up plans, for their back-up plans. The 1A’s had to do a complete reformat due to their time constraints, as their first round was moved from Monday to Wednesday. Nooksack Valley beat Sultan on Wednesday in a loser out game, but then was eliminated by Cedar Park Christian, the next day. Meridian was knocked into a loser out game against South Whidbey on Thursday, due to a loss to Kings on Wednesday. The Trojans advanced, by beating the Falcons 67-47. Meridian is scheduled to play Cedar Park Christian on Monday at Mt. Vernon Christian High School. That game is for 3rd and 4th in the district, with both teams advancing to the Bi-District tournament. Lynden Christian defeated Cedar Park Christian on Wednesday, setting up a district final against Kings, Monday, at Mt. Vernon High School. The winner of that goes straight to the Bi-District championship game, with a regional spot secured. In the game against CPC, Lynden Christian’s Cole Bajema became the Lyncs all-time leading scorer. He surpassed the record of 1,602 that was held by Isaac Reimer since 2013. Those two 1A district games don’t have a lot of empty days to play with, as the Bi-District tournament is set to start on Wednesday. The loser out round of the 2A tournament was moved from Wednesday to Thursday. The Wesco Conference was to play their last regular season game on Monday, but those games were eventually cancelled. Sehome, Lakewood, Burlington-Edison and Bellingham all survived loser out contests. In Bellingham’s win over Cedarcrest, Red Raider junior guard, Colm Schaefer, set a school record by knocking down eight 3-pointers. Schaefer finished with 26 points. They will play at Lynden on Monday. Also on Monday, Burlington-Edison goes to Liberty; Lakewood is at Anacortes; and Sehome goes to Mountlake Terrace. All those teams will be in action again on Tuesday, as the winners will face off in the semifinals at MVHS, and the losers will play elimination games at MVCHR. Squalicum, who is on a season-best five game winning streak, survived their loser out game by beating Lynnwood on Thursday. Their next action will be on Monday at Arlington. You may notice that I never once used the term, “weather permitting.” It would have been redundant, so I’m using it now! Basically, tournaments will get squeezed until we run out of open days. It is possible that some district tournaments will be finishing early next week. Regional at State tournaments can’t be changed, so one way or another, those 16 regional spots will be filled. Each district has their own ground rules in place to do that, and will do everything in their power to get the games played. In conclusion, we will either see a whole bunch of games in a short amount of time, or no games over a lot of time. Hopefully Mother Nature is a basketball fan! The first sign of winter snow accompanied by its long time companion, the Nor’easter, has finally hit. But we can’t deal with either of you right now, as it’s time for post-season basketball. And brackets don’t hold up well in the snow (see 2017). Plus the fact that I still need solid traction under my feet. The 1A schedule ended on Thursday night. Nooksack Valley’s win over Blaine, coupled with losses by Meridian and Mt. Baker, created a three-way tie in which only two could advance. Meridian claimed the #2 seed from the Northwest Conference by way of their wins over Nooksack and Mt. Baker. Nooksack gets the #3 seed by way of their victory over Mt. Baker. The Mountaineers will have to sit this one out. The NWC advances three of their four 1A teams, while the North Sound Conference sends five of their six this year. The 1A District Tournament begins Monday night for both the boys and girls. The way the seedings fell, four schools will host boys and girls double-headers. Boys games will begin at 6:00pm, followed by the girls games at 7:45. The Nooksack boys and girls are both a #3 seed from the NWC. Both teams will play at Cedar Park Christian, the NSC #2’s, on Monday. Meridian will host the South Whidbey boys and the Granite Falls girls. The Lynden Christian boys, winners of 27 straight, will be at home against Sultan, then, the LC girls play Coupeville. The NSC champion Kings boys host Granite falls, followed by the Kings girls taking on Sultan. This is a double-elimination tournament, with the top four teams advancing to the Bi-District tournament with District 2. In the 2A classification, the Wesco Conference ends its regular season on Monday. The top four teams listed in the district RPI will avoid Wednesday’s loser out round. Lynden will be the #1 seed, and Liberty is locked into the #4 spot. Anacortes is currently #2, but could change places with #3 Mountlake Terrace. For that to happen, MLT has to beat Shorewood, and must couple that with a Meadowdale win over Archbishop Murphy. Most of the 12 seeds “seem” set. Sammamish has been eliminated. There could be a change in the order between #9 and #11, pending Monday outcomes. The top four from the 2A tournament will earn a spot in the regional round. The 3A classification got real crazy last week. I spent several hours going over their RPI scenarios. Squalicum seems to have come out of nowhere to grab the #10 and final 3A seed, over Ferndale. I must point out that, not even I am confident enough to proclaim Squalicum as the #10 seed, until Monday’s games are concluded. Sometimes, there are underlying circumstances in these scenarios that can’t be seen. However, the Storm has gone from #12 to #10 this week, thanks to wins over 2A Lakewood and Burlington-Edison. The fact that both of those teams finished with winning records, meant bonus RPI points for the Storm. As the #10 seed, the Storm would play a loser out game on the road, against either Lynnwood, Shorewood, or Meadowdale, on Thursday. In girls 2A, Lakewood has been eliminated. The top four teams will be Archbishop Murphy, Lynden, Burlington-Edison, and Anacortes. The loser out, first round will be played on Thursday. The Ferndale girls currently hold the #6 seed, which will let them avoid the loser out round. Squalicum is #11, and appears to have been eliminated. The Wesco girls schedule also ends on Monday. There were a couple milestones that were reached last week. On Monday, in Anacortes’ win over Mt. Baker, head coach Brett Senff, earned his 200th victory with the Seahawks. He is now 201-94 in his 12th season. On Friday, Lynden senior, Christian Zamora, became the Lions all-time leading scorer. Zamora broke the 1,506 point mark set by Eric Petersen in 1986. The record stood for nearly 33 full seasons. The fun begins now! Just make sure I have a salty path to your gym door. In what was labeled as “The Game of The Year” in the state of Washington, the Lynden Christian Lyncs soundly defeated their cross-town rival, Lynden Lions, 75-57, Friday night at Jake Maberry Gymnasium. The crowd, which just may be the largest ever to watch a high school basketball game in Whatcom County, was about 50 people deep when the doors opened at 3:15pm. The 3,000 plus jammed the two mammoth grandstands at The Jake, even filling aisles, hallways, and doorways. By the time the junior varsity game was at halftime, the mass of people hampered media outlets chances for any type of wifi broadcast. Fortunately, a Facebook feed was able to be viewed by several hundred more fans. The game itself also had its story lines. The two very familiar rivals, who were also undefeated, reigning state champions, treated all to some unbelievable basketball. Lynden Christian senior, Cole Bajema, while converting on only 11 of 27 field goal attempts, electrified the crowd on each of his 11 successes. He finished with 32 points and ten rebounds. The Lyncs team defense was the difference on this night. After careful study of said defense, I can’t really categorize it with a single term. Sometimes it appeared as a 2-3 zone, with “special circumstances.” Other times, it resembled a “triangle-and-two.” However you look at it, their focus was certainly on Lynden senior standouts, Christian Zamora and Clayton Whitman. Although both scored well, Zamora 21 points and Whitman 20, those 41 did not come easy, as each had a Lync defender (or two) draped over them on every possession. The strategy by the Lyncs was, simply put, to force other Lions to beat them. In games of this magnitude, you need someone, other than your “go-to” guys, to throw a monkey wrench into your opponent’s game plan. The Lyncs got just that. Here’s a scenario: If I said that at game’s end, Lyncs senior center Cristian Colwell and junior shooter, Andrew DeVries, who each average 12 points per game on the season, would combine for only eight total points, who would be the winner? Lynden. Easiest story problem ever. However, the 32 from Bajema helped to even that out. What put the Lyncs over the top was the 17 points from Lyncs senior Luke Bos. The Lyncs found Bos open on the perimeter, time after time, as he nailed 5-of-8 from 3-point range. The Lyncs got the first bucket of the game, and ran out to an 11-2 lead. The Lions had trouble getting the movement and shots they usually get from their half court offense. But when the Lions were able to get their transition game going, that’s when they would make their strong runs at the Lyncs. Whitman electrified the crowd with two breakaway dunks in the first half, and the Lions closed the gap to a 26-24 lead for the Lyncs at halftime. The Lyncs had great starts to each quarter, and to start the third they went on a 12-0 run, to take a 38-24 lead. That’s when one of the greatest 1-on-1 battles surfaced. At that point, Whitman, as if to say, “Enough,” scored his team’s next 13 points. It began with a thundering dunk in traffic, as he took a pass on the right wing on a fast break. After hitting two free throws, Whitman hit consecutive long range 3-pointers to force an LC time out with the score at 40-34. Whitman then nailed another 3-pointer, but while all this was going on, he and Bajema ended up guarding each other several times, adding to the intensity of the already piping hot building. Zamora hit a 3-pointer near the end of the quarter for the only non-Whitman score of the quarter for the Lions. The Lyncs held a 47-40 lead after three. Another quick run by the Lyncs to begin the fourth quarter, essentially put the game away. After shooting only 38% (10-26) in the first half, the Lyncs hit 15-27 in the second half, and rolled up 49 points. The game, in combination with Coaches vs Cancer, and the honoring of the late football coach, Curt Kramme into the Lynden Athletic Hall of Fame, was an event that could only happen, right where it happened. The fallout? As much as the fans, coaches, and teams were awaiting and preparing for this night, It just might be that after all the hoopla, both teams might be glad it’s over. Each can go back to their regularly scheduled programming, and reset themselves for their final two games of the regular season, and beyond. The Lyncs will win their first “outright” Northwest Conference title with wins over Meridian and Lakewood. They will be the #1 1A seed from the NWC to the District Tournament. The Lions will hang on to the top 2A District RPI by finishing with wins over Blaine and Ferndale. The big 1A GOTW was Meridian’s 69-57 win over Mt. Baker on Friday. The Trojans dominated the glass and got 24 points from junior, Cameron Webster, and 14 more from junior Ryan Johnson. The Trojans and Mountaineers are 2-9 with two games left. Meridian owns head-to-head tiebreakers over Mt. Baker and Nooksack Valley (1-10). Two of the three advance to the District Tournament. After dropping to the #11 seed earlier this week, Ferndale is back in the #10 seed. They are in a battle with Oak Harbor for the final spot to the 3A District Tournament. The Golden Eagles finish with Sehome and Lynden. Anacortes continues to play well, with wins over Blaine and Burlington-Edison last week. They are currently the #2 seed for the 2A District. Liberty and Mountlake Terrace are seeds 3 and 4 right now. The top four receive a first round bye. The final week of the regular season is upon us. I’m going to attack it by continuing to go left. Hopefully I can start to go right by tourney time. That should make me tough to stop. Speaking of stops, I have a road trip to Blaine on Monday, which will include a stop at my favorite Blaine pregame hangout, the Pizza Factory. Can’t wait. It was March 3, 2018. The boys court at the north end of the Yakima SunDome was done for the year. The Lynden boys team had secured their programs ninth state title, with a win over WF West. And the Lynden Christian Lyncs had just won their sixth state championship, with a resounding win over Freeman. Much earlier in the day, the Lynden girls, who just one year prior, won their programs second state championship, earned the sixth place trophy in 2A for 2018. And, on the final game on the girls court, Lynden Christian was about to win a nail biter over Cashmere, which would net them the programs 12th title. It was at that moment, much like in 2012 when the Lions and Lyncs both won state championships, that the two teams walked back on to the north court as one, representing their basketball crazy town of 14,000 residents. As many fans captured photos of the two teams posing together, how could one not, even if only for a second, think about the future? That “future” is finally upon us, as the undefeated Lynden Lions will host the undefeated Lynden Christian Lyncs at Jake Maberry Gymnasium, Friday, January 25, at 7:15pm. Tickets to the 3,000 seat venue are on sale at the respective school offices, while they last. If you compare the faces in that group picture with those involved in pregame warm-ups on Friday, it’s the amount of similarities that would have everyone quickly thinking about the future, and the possibility that those two teams could pose on the north court again in 2019. But that takes a lot work, and some luck along the way. Even if you return the entire starting lineup. Or, even if you have a player who was courted, and signed, by the University of Michigan. Teams change from year to year, no matter what. And, no matter how good a team may be, it is still very difficult to win a championship. Not only are they on each other’s schedule, in a massive high school venue to boot, but they are both 10-0 in the Northwest Conference, and have identical 17-0 season records. Furthermore, for several seasons, the Lions and the Lyncs have been scheduled to play during Coaches vs Cancer week, which helps greatly in support contributions. Also, during halftime on Friday, the Lynden Athletic Hall of Fame, will induct the late Curt Kramme, in a special ceremony. All of that, and a game! Since the 1960’s, the Lions have won more than twice as many games in the series as the Lyncs. But let’s narrow those years down to the last nine, which coincides with Roger DeBoer’s tenure as the coach of the Lyncs. The Lyncs have won only twice in the last nine meetings between the two, but that includes a two-point loss, as well as a loss in overtime in 2013, the last time both teams were reigning champions. The Lyncs won by three points last year, but endured three-point losses in 2016 and 2017. Lion Coach Brian Roper has a career record of 13-2 against the Lyncs. These teams knew they were championship caliber, and scheduled accordingly. The Lions have had dominating non-conference wins over 3A’s, O’Dea and Marysville-Pilchuck, as well as 2A and 1A powers, Selah and Zillah. Generally, a 13 game Northwest Conference schedule is enough competition for a good 1A team. However, the Lyncs scheduled up some classifications as well. They beat 3A Wilson, who currently third on the WIAA’s 3A RPI. The Lyncs also notched a win over 4A Glacier Peak, who is 8-1 in the 4A Wesco. Is the fact that both teams have cleared 17 hurdles a surprise? Playing a Northwest Conference schedule, one would tend to answer, yes. But, in hindsight, maybe it’s not a surprise at all. The Lyncs have won four games where the difference was eight points or less. But in those 17 wins, their average margin of victory is nearly 23 points per game. In league play, the Lyncs margin of victory is 24.5. The Lions closest game this year was an 11 point win at Kings. Even with that, they win by an average of 30 points per game. In NWC play, the difference is an astounding 34.1. Going back through NWC history, the largest margin of victory in league play belongs to the 2012-13 Lynden team, who won by an average of 25.5 points per game. Other teams who have had a league margin of victory greater than 20ppg are: Anacortes (’17), LC (’16), Squalicum (’09 & ’10), Burlington-Edison (‘10). None of those teams were anywhere close to a 30 point average margin for a season. The Lynden Christian girls recently had a 45 game win streak snapped. They didn’t have to go far to hand off the baton, as the LC boys now hold the state’s longest win streak at 24 games. Should they not reach 25, they won’t have to go far either, as the Lions have won 21 straight games. The 4A Union boys, of Vancouver, are next in line with 18 straight. Next is 3A Eastside Catholic with 17. The longest win streak for girls is currently 17, by 1A LaSalle. The second most dangerous Lync is 5-11 junior, Andrew DeVries. He is deadly at catch-and-shoot, and doesn’t need much room to do so. Watch for him to fire in transition, or coming off screens. Cristian Colwell, a 6-9 senior, gives the Lyncs a solid inside presence and rim protector. Cole Langstraat, a versatile 6-5 senior, uses his length effectively to defend outside, and can score when needed. Luke Bos, a 6-2 senior, is a very under-the-radar offensive player who can drill 3-pointers if you pay too much attention to Bajema and Devries. The Lyncs keep it rolling when they go to the bench. Juniors Bryce Bouwman and Zach Sipma give their team quality minutes at both ends of the floor. Sophomore Jaden DeBoer provides an offensive spark off the LC bench. The Lions basic eight man rotation includes seven seniors. The two that make it go are Christian Zamora and Clayton Whitman. Zamora, at 6-4, and a four-year starter for the Lions, is driven to score, which he can do from anywhere on the floor. Whitman, at 6-5, who not only is explosive from rim to rim, has also become a deadly outside shooter. Blake Silves gives the Lions another pure shooter from the outside, and is also a tough on-the-ball defender. Point man Kobe Elsner runs the show, and may be one of best rebounding guards the league has seen. Inside, 6-5 James Marsh, is a very good post defender, and will also step out for the occasional 3-pointer. Off the bench, 6-2 junior Brock Heppner has tremendous strength and versatility. Carson Bode, at 6-4, is another long defender, who also has a good 3-point stroke. Dakota Baar gives the Lions additional inside presence, and is very quick around the hoop. Lynden-Lynden Christian is a great rivalry that has changed with the times. In the 1960’s, 70’s, and 80’s, it was heated. In those years of the Whatcom County League, teams would play each other three times. Maybe a fourth at District, and a fifth time at state. The drama would build from year to year, and you definitely had to be either Green or Navy. Things began to change when Lynden went to the 2A classification in the early 90’s. No longer were they competing for the same trophies. As the years went by, there were more and more Lynden and LC athletes playing on the same teams as youth sports began to expand. Then friends and relatives were able to cross those lines and actually root for each other. And now, today, if one band can’t make it to the SunDome, the other one picks up the slack! Now, throw all this nonsense out the window, because, on game day it will again be a rivalry. And that means, anything can happen. Hopefully, you will be one of the 3,000 in attendance. Or, maybe you will be one of the many thousands that will, one day, say they were there. With two weeks left in the regular season, there are several races that will be settled over the final four games. Who will emerge as the second and third seeds to the 1A District Tournament? Who will get the four first round bye’s to the 2A District Tournament? Will Ferndale hang on to a top ten District seed, and will Squalicum be able to fight their way back into contention? Oh, and that little issue concerning the Northwest Conference title is still up in the air. On Monday of last week, Meridian picked up a key 68-54 win over Nooksack Valley. The Pioneers have a league win over Mt. Baker, so this Friday’s Meridian-Mt. Baker game will be a determining factor in District seeding, with one team staying home. The three 1A rivals have identical 1-8 records, which is how seeds are determined, prior to head-to-head results. Ferndale currently holds the #10, and final seed to the 3A post-season. While it’s close to impossible to forecast the RPI, it appears that the Golden Eagles will have a tough time improving their standing unless they can reel off three or four more wins. Even with that, the teams in front of them may need to lose a game or two that they didn’t see coming. In 2A, Lynden has a solid hold on the top District seed, followed by Liberty of the KingCo Conference. The Patriots have three league games remaining, and may make things tight if they can pick up 3A wins over Lake Washington and Bellevue. 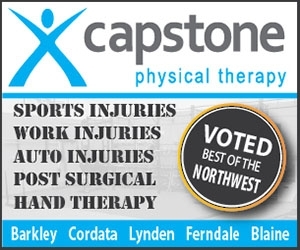 Anacortes and Mountlake Terrace are third and fourth, respectively, with Burlington-Edison on their heels. The top four teams get to avoid the “loser out” round. Anacortes has won 9 of 12 overall, since their 0-4 start to the season. They are tied for third in the conference with Lakewood and Burlington, with 7-2 records. They beat Lakewood last week, and play at the Tigers on Thursday. Coach Brett Senff is my leading candidate for Coach of the Year in the conference. Even though the Seahawks have been one of the most successful programs around for several years, they went through a big roster change this year, and they have been getting better each week. Case in point: on Friday night, the Seahawks held a 15-14 lead after eight minutes, at Lynden Christian. However, a six minute dry spell in the second quarter put them in a 14 point hole at halftime. It was the same deficit heading into the fourth, but the Seahawks put up a 9-0 run in the first 90 seconds to cut the Lyncs lead to just five points. That would be as close as the Seahawks would get, until a half-court shot at the buzzer made the final score 73-71 for LC. Cole Bajema ripped the nets for 36 points, but had it not been for three fourth quarter 3’s by teammate Andrew DeVries, things would have been dicey for the Lyncs. DeVries scored 10 of his 13 in the final six minutes. It also should be noted, that Bajema’s jumpers from the volleyball line are just as smooth as his ten-footers. (We’ve gone over the new relevance of what the volleyball line means to the basketball floor in a previous issue). This week will build to a crescendo. We start with Lynden traveling to play a dangerous Lakewood team on Monday, just as the Lyncs will head down the Badger Road to play the Pioneers. Those are the last two hurdles in the way of the Lyncs and Lions getting together as unbeatens, on Friday. Tuesday, we have Burlington at Sehome, which is pivotal in the 2A seeding. Burlington will be busy again on Thursday as they host Anacortes. Also on Thursday, Sehome goes to Lakewood. And on Friday, Bellingham visits Blaine. As of now, those two are tied with Sedro-Woolley with 3-6 records. Also on Friday, Meridian goes to Mt. Baker for their big 1A game. The winner should have a slight edge heading into finals week. And, of course, there’s that rivalry in the 98264 that has NWC title implications on the line, also on Friday. The Lions and the Lyncs will finally meet, at Jake Maberry Gymnasium. Tickets will be sold at both high school offices from Tuesday through Thursday, this week. It is anticipated that the 3,000 seats that The Jake offers, will not be enough. Due to the crowd, the JV and C undercard games will be played on one floor, with the C game to start at 4pm. I hope to have more on this matchup, later in the week. Due to a recent mishap, I was forced to spend some time on the Disabled List. Or, the Physically Unable to Perform List, if you prefer. Either way, not an enviable position. Earlier this week I was having normal correspondence with AD’s and tournament directors concerning post-season basketball. I was also letting them know that my recent injury to my right arm may slow me down because I don’t go very well to my left. If you happen to be left-handed, just reverse those words to fit. Lefty’s seem to have a better grasp at working both directions anyway. Okay, serious business. Here are your RPI reminders. The most important RPI for 2A and 3A teams in District 1, is the District RPI. Those are now up and running, and can be found on the Northwest Conference and Wesco boys and girls basketball pages, by using the RPI link. They are updated every weekend when games are completed for the week. Possibly more frequently as we get closer to season’s end. They are important because the top twelve 2A’s qualify for the district tournament. In 3A, the top ten qualify. By now, the WIAA’s state RPI has enough data to be legitimate as a poll, but it does not qualify your team for anything. If you are one of the 16 teams that qualifies for state through district tournaments, then you will be assigned a seed of 1-16. So, if you are confident that your team will be there in the end, then you can certainly eyeball where you might end up, seed wise. While the state RPI builds data in December, many people refer to those “rankings” when comparing teams. For a poll comprised of data, that is too early for it to be accurate. To me, I like the eye test much better, which is why I miss the banter of opinion polls, which have become very scarce. Skipping ahead, after a couple weeks on the mend, there are a few streaks we need to talk about. Now, we are not speaking loudly of a no-hitter happening in the bottom of the eighth inning. There is no jinx at work. The reason streaks get snapped is because they just gets too large! I will guarantee that the following three winning streaks will end. Eventually. At some point. I can even go as far as to say that one of them will end on, or before, but no later than, January 25, 2019. The other two will also end. Could be this week, or in the years to come. There. I’m covered. The Lynden Christian boys have won 21 straight games. They are undefeated since their first post-season game last year. The Lynden boys have an 18 game winning streak, going back to their regional win over WF West last season. The Lyncs and the Lions meet on January 25, at Jake Maberry Gymnasium. If both remain undefeated until then, one of those streaks will end! The Lynden Christian girls must be wondering what all the fuss is about? The LC girls 44 game winning streak takes up parts of three seasons. Their last loss was on March 2, 2017, in a state quarterfinal game against Mt. Baker, the eventual champion. They won their next two games, and then went 28-0 last year. Add 14 more this season, and that makes 44 straight. Want more? Prior to the loss to Mt. Baker, they had won 18 straight. That’s a current run of 62-1. After a 6-1 start to the season, the Ferndale Golden Eagles find themselves at 8-6, and on the edge of the post-season list. They currently hold the tenth and final spot in the 3A RPI. The good thing is that Ferndale has a win over #2 Arlington, as well as a tight loss to #9 Shorecrest. They have some winnable games remaining to help their district RPI. Squalicum is not currently in the top ten, but if they can squeeze out some wins down the stretch, they have also been competitive against Wesco teams this year. The Lakewood Cougars have won 8-of-9 overall, and are tied with Anacortes at 6-1 in the NWC. Those two play an important game on Tuesday, as Anacortes will host the Cougars at Skagit Valley College. Another big NWC game happens Monday, as Meridian hosts Nooksack Valley in a key 1A game. Of the four 1A teams, only three will advance to the post-season. Nooksack already has a win over Baker, however, overall league records will place the top three 1A’s into the district tournament. Here are some teams around the state to pay attention to, as we hit the final three weeks of the regular season. In 2A, Selah just welcomed the return of senior, Noah Pepper, who had missed most of the season due to a knee injury. The Vikings are currently tied with Ellensburg at the top of the CWAC standings. Ellensburg was just upset by Prosser. North Kitsap (12-2), and Port Angeles (10-4), continues to be the powers of the peninsula. Franklin Pierce is a perfect 15-0 in the SPSL 2A, but their schedule has not provided me an accurate barometer. Liberty continues to be competitive in the 2A/3A Kingco. The patriots are third behind Mercer Island and Bellevue. In the Southwest, Columbia River is leading the 2A GSHL. They already have a 19 point win over second place Mark Morris. Pullman and Clarkston have owned the Great Northern League for several years. Pullman was a perfect 12-0 until a Friday night home loss to the Bantams (6-6) by 19 points. On the 1A side, post-season competition for the NWC starts with the Kings Knights. The Knights are their typical long, solid, fundamental team. They are also the team that has come the closest to Lynden this year (11 points). Seattle Academy (11-2) can be tossed into the mix when the bi-district tournament rolls around. They have losses to the Lyncs, as well as LaCenter. LaCenter’s only setback this year is to the Lyncs, 90-78. LaCenter is averaging 93.8 points in their four league wins. Zillah is 14-1, with their loss to Lynden. They also have a win over Lakewood. Okanogan and Cashmere are battling for the Caribou Trail title. They have split their two games. The big news in the CTL is Cashmere 6-0 sophomore, Mason Landdeck, who averages 31 points a game, with a high of 48. And yes, the Cashmere girls (13-2) still have their sensational junior, Hailey Van Lith. She is one of those lefties who would have no problem being forced to her right. In the Northeast 1A League, Deer Park is a perfect 14-0, and Newport is 11-1. Finally, big kudos to the concessions at Sedro-Woolley! For a mere $4, you can get the largest order of nachos ever seen at a high school event. I only added the spicy cheese, but I think you can go farther than that. And one pet peeve: have you ever noticed that at some gyms, during timeouts, you look at the clock and you see the clock running, letting you know how much time is left in the timeout? Who needs to know this? My memory is such that two seconds after I look at the clock, I tend to forget the time. So I look again, but now I have to wait 20-50 seconds to see it. So please stop! Mission accomplished. I just went left the entire game, and no one stopped me! As Festivus rolls on, we come to the feats of strength. After a slow start, the Northwest Conference has been flexing its muscles lately against out of conference opponents. The NWC currently holds a 37-14 record against the OOC’s. I don’t know if that’s any better than the conference usually does. But, I do know, it’s really good! Most recently, the conference sent its two best teams out to take on a couple highly regarded 3A programs. Lynden stayed home and overwhelmed O’Dea, 70-47, who was the #2 team in 3A according to the Seattle Times. The Lynden Christian Lyncs traveled to the Showare Center in Kent on Saturday, to take on 5-0, Wilson. The Lyncs trailed 38-35 after three quarters, but prevailed, 52-44. I’ve seen basketball played at the Showare, and it does not seem like the surroundings are conducive to offensive production. Lyncs senior, Cole Bajema certainly didn’t have the same opinion, as he scored 31 points. Wilson, who finished 21-8 last year, has been to the 3A state tournament two years in a row, and three of the last five seasons. In the two years they didn’t make it to the Tacoma Dome, they did reach the regional round. The week began with a great game in Laurel, as Sehome edged Meridian 72-69. The Trojans controlled this one until early in the fourth quarter, thanks to Trojan junior, Jordan Veenstra’s exceptional 3-point shooting. Veenstra had 15 points in the first half, all on 3’s, as the Trojans led 40-34 at intermission. Mariners senior Eddy Hochsprung, led four Mariners in double-figures with 15 points, including several free throws down the stretch, to help secure the victory. And, they needed every point they could get, because Veenstra was far from finished. Trojan junior Jackson Short helped the cause by scoring 18 points. The most difficult was a running 3-point bank shot from the left wing, as time expired in the third quarter. The momentum of that shot didn’t last long, however, as Sehome’s Lucas DeLisle hit a 3-pointer to put the Mariners ahead, 58-57, with six minutes left. The Mariners led 67-63 with 51 seconds left, when Veenstra drained a 3-pointer from the volleyball line. Side bar: Isn’t it amazing how “volleyball line” has become a point of reference on the basketball floor? Sehome hit four straight free throws to take a 71-66 lead, then Veenstra hit another one, which was a 25-foot desperation heave, that cut the lead to just two points. Michael McLin split a pair of free throws to give the Mariners a three point lead. With only seconds to go, the Trojans could not hit a tying shot. In Blaine on Tuesday, the Burlington-Edison Tigers outlasted the Borderites, 81-69. Taino Ferdinand, the Tigers 6-5 senior, had a big week. He scored 23 on this night, and would be heard from again in the coming days. Fast forward to Friday, and the Tigers were on the road again, this time at Meridian, where they were trying to avoid what Sehome went through. On this night, the Tigers overcame a 31 point performance by Jackson Short, and held on for a 72-71 victory. Tiger 6-4 junior, Jackson Reisner, led the Tigers with 30 points. Ferdinand had another big night, scoring 27. Lakewood registered two big NWC wins last week, the first being a 70-58 win over Ferndale. The Golden Eagles led 36-34 at halftime. Morgan Stacey, who I proclaimed recently to be one who plays much bigger than his 6-0 frame, scored 29 for the Cougars. Junior Alex Jensen added 20. The Cougars second win of the week was an 80-70 victory over Blaine. This time, it was 5-10 senior, Machai Harris leading the way for the Cougars with 26 points. Jensen had another strong night, scoring 20. Sedro-Woolley also swept a pair of games last week. They defeated Squalicum 73-57, and then won at Nooksack Valley, 73-63. Eli DeJong, a 6-3 senior, scored 24 and 25 points in those two games for the Cubs. With all the action lately, it’s finally seems like it’s time to take a breath. Next week, teams go their separate ways, as many will involve themselves in tournaments or holiday classics. There are way too many trips to mention here, but please check the schedule on the NWCAthletics.com basketball page. I only see one team that is headed out of state, as the Lynden girls will be in a four day tournament in San Diego, beginning the day after Christmas. The Lyncs boys and girls will host the Cloud 9 Classic at LCHS and LHS. Meanwhile, the Bellingham, Lakewood and Lynden boys teams will play in the SunDome shootout. That’s where I will be, as long as the trip doesn’t look like too much of a problem. If it does, there’s still plenty around here to do. I would like to take this opportunity to thank everyone for reading these little things every week. I appreciate the kind words, and anytime you have an RPI questions, or whatever else, don’t hesitate to ask. Finally, on behalf of all of us at the WPA Network, I would like to wish everyone a very Merry Christmas. There wasn’t a lot of intrigue in Northwest Conference action over the past week, but NWC teams did combine to go 15-2 against out-of-conference opponents. None of the four games I saw this week were nail-biters, but there was high interest, none the less. The Meridian Trojans used a quick, trapping zone defense to ambush Cedar Park Christian, 73-46. Trojan underclassmen scored all but ten of those 73. Jordan Veenstra (15), Jackson Short (13), and Joe Plagerman (11), reached double-figures. The Trojans improved their season record to 4-0 after an easy win at LaConner on Friday. Wednesday evening was spent at Pioneer Pavilion, where the band still plays “Jesus Christ Superstar,” as the team enters the building. Still the best team intro around. However, it didn’t help the Pioneers against Mt. Baker that night. The Mountaineers ran out to a 14-2 lead after eight minutes, as they turned defense into offense, with some exceptional passing sprinkled in for good measure. The Pioneers had a lot of trouble getting into any offensive flow, as shot after shot kicked off the rim as if they were shooting at gag rims from the local carnival. Their first field goal didn’t exit the net until the 5:38 mark of the second quarter. A 15 point halftime deficit turned into 20 by the end of the third quarter. However, in that third quarter, the Mounties were whistled for ten fouls in the first seven minutes. That slowed the game down, and allowed the Pioneers to cash in at the free throw line. They (unofficially) hit 21-30 for the game, and crawled back to within eight, as the game ended with a 58-50 non-league win for the Mountaineers. Junior Cole Eldridge came off the bench to score a game high 20 points for the Pioneers, and was their only player in double-figures. The Mountaineers were led by junior, Truman Anderson, who scored 14 points, all in the second half. The impressive part of Mt. Baker’s game was their passing, especially from sophomore, Mason Jacoby. He threw two behind-the-back passes that were right on the money. (I guess the kids would call them, “dimes”). The great team passing led to balanced scoring, as Mt. Baker had five players score between seven and nine points. After a loss at 4A Mt. Vernon on Friday, the Mountaineers are off to a 3-2 start. Nooksack, after a win at Friday Harbor on Saturday, is now 2-2. My first look at Lynden Christian was Friday night, as they overwhelmed Seattle Christian, 82-37. Long arms stretched across the court attached to presses and zones led to several uncontested transition scores. Cole Bajema scored 14 of his 22 points in the first half, and started the second half with back-to-back dunks generated from the Lyncs defense. Andrew DeVries scored eight of his eleven in the first quarter to help get things going the right direction for the Lyncs. Sophomore Jaden DeBoer tossed in 13 of his 16 in the second half. The Lyncs came up with a 73-55 road win over a good Seattle Academy team on Saturday. They are now 3-0, and are averaging nearly 82 points a game. On Saturday night, the Lynden Lions took the floor for the first time, and defeated Eastlake, 71-52. Clayton Whitman came out on fire, scoring 17 of his 21 in the first half. Christian Zamora used a variety of nifty inside moves to score most of his 19 points. The Lions graduated only eight seniors over the last three seasons combined. This year, they have enough to start a “conga line.” Ten seniors are on the Lions roster this year. Their underclassmen are junior, Brock Heppner, who is one of the baddest dudes’ on any football field, and Liam Hannenberg, who is 6-foot-10. Lynden will play four games this week, as they play catch-up from the football season. On Monday, they travel to Marysville-Pilchuck. M-P is led by UW commit, 6-5 senior, RaeQuan Battle. We navigate through the workings of a seemingly endless supply of quality teams every week. But a big reason we are able to enjoy the successes of the Northwest Conference is because of the talented head coaches, and coaching staffs, that represent their schools. Five of the 14 NWC head coaches have been in the league for at least ten seasons. Meridian’s Shane Stacy, and Lynden’s Brian Roper are in their 14th seasons at their respective schools. Stacy also coached the Meridian girl’s team for three seasons, so I guess that gives him the tiebreaker to hold the gavel at league meetings. For Coach Roper, this is his 26th season as a head coach, which includes time at North Mason and Sequim. He began the year 423 career wins, and has three state championships with the Lions. If for any reason, either of those two is unable to fulfill their duties, the second runner-up is Squalicum coach, Dave Dickson. (See what I did there)? Dickson is in his 13th year with the Storm, and 25th overall, with previous stops at Oak Harbor and Bellingham. He started the season with 378 career wins, and has led the Storm to two state championships. Anacortes coach Brett Senff is in his 12th year leading the Seahawks. With 188 wins in that time, Senff has built the Seahawks into a yearly title contender. Roger DeBoer, while only in his 10th season with Lynden Christian, is in his 28th season overall, including his years at Seattle Christian. DeBoer began the season with 502 career wins, which is good for 17th most all-time. DeBoer has won two state titles with the Lyncs, and one with Seattle Christian. Brett Farrar, in his first year at Blaine, coached the Sedro-Woolley Cubs for six seasons. Bellingham’s Brad McKay is in his sixth season with the Red Raiders. Anthony Wiederkehr is in his fifth year at Lakewood. Ferndale’s Jason Owens is in his fourth season with the Golden Eagles. Nooksack Valley’s Rich Skillman is in his third season with the Pioneers, and Chas Kok is a second year coach at Burlington-Edison. Last week I chronicled the three newcomers to the conference: Shelby Greenlaw at Mt. Baker; Chris Spencer at Sedro-Woolley; and Skyler Gillispie at Sehome. It’s fun to watch these coaches interact and compete. Their competitiveness, knowledge and innovations, drives the league to new heights every year. There are also some tremendous friendships among the group, which I have seen, first hand. South on I-5 a few hours, you’ll come to the town of Longview, home of the Mark Morris Monarchs. The Monarchs have been the epitome of consistency under head coach Bill Bakamus, who is in his 27th season at the school. The Monarchs have won 18 consecutive Greater St. Helens 2A titles. Bakamus is in his 36th season overall, including his time at Coulee-Hartline and Toledo. The Monarchs next win will be career #600 for Bakamus, which is currently sixth all-time, and the most for any active coach in the state. The Monarchs were denied on Friday, as they lost to Skyview. Their next chance is on Tuesday, in a non-league home game against Timberline. Back in the Northwest Conference, league play begins this week, with the headliner being Burlington-Edison at Lynden Christian on Monday. Thursday’s action has Squalicum at Ferndale. That‘s an important 3A “District” RPI game, as it’s the only chance those teams have to pick up a 3A win. (See last week’s post on RPI’s). On Friday, watch out for the Bellingham-Sehome rematch, as well as Lakewood at Burlington-Edison. *Coaches statistical information courtesy of Washington Interscholastic Basketball Coaches Association. The 2017-18 was an amazing year for basketball teams in the Northwest Conference, as three earned state championships. It’s now time to recognize some of the amazing individuals who made up, not only those teams, but several other highly competitive programs, that belong to the best league in the state. The 2A champion, Lynden Lions (22-6), had two players selected to the AP first team. They are juniors, Christian Zamora, and running mate, Clayton Whitman. Senior Trystan Lowry, of the 20-3 Anacortes Seahawks, received honorable mention honors. Lowry was a four-year varsity star for the Seahawks. Lynden Christian junior, Cole Bajema, was selected as the “Player of the Year,” for the 1A classification. The Lyncs took the 1A title, and finished with a 27-1 record. 1A honorable mention honors went to Nooksack Valley senior, Casey Bauman. 1A girls champion, Lynden Christian (28-0), had two players honored. Senior Avery Dykstra was named to the first team, while teammate, Isabela Hernandez, a junior, received honorable mention. Nooksack Valley senior, Katrina Gimmaka, was also selected to the 1A all-state first team. Gimmaka led the Pioneers to a 20-9 record, and one win short of a top six finish at the state tournament. Lakewood senior, Jelly Perry, was named to the 2A girls all-state first team. Perry is an extremely talented three-sport athlete for the Cougars. For a complete list of the 1A and 2A Associated Press All-State teams, please see the attachment below. The 2017-18 All Northwest Conference Boys Basketball teams have been released. Colson Bajema, junior, from 1A State Champion Lynden Christian, is this year's Most Valuable Player. Coach of the Year in the NWC is Ferndale's Jason Owens. For the complete first and second teams, please see the link below. It was quite a week for the Northwest Conference. It was quite a week for the greater “98264.” It was quite a week for Lynden and Lynden Christian boys and girls basketball programs. Specifically, they Lynden boys, the Lynden Christian boys, and the Lynden Christian girls basketball programs all won their respective State Tournament titles, in the Yakima SunDome, Saturday, March 4, 2018. The Lynden girls basketball team brought home a sixth place trophy from Yakima. Let’s not forget, that the Lion girls won the 2A state championship in 2017. That’s a lot of big hardware for one town. The town has seen “double-titles” four times since 1991. The Lynden boys and the LC girls each won back-to-back championships in the 1991 and 1992 seasons. In 1991 season, the Lyncs beat the Lions for the 1A girls championship. The LC boys’ last three championships have all been three years apart, going back to 2006. The LC girls have won every other title since 2014, and have a total of 12. The LHS boys have three since 2007, and the LHS girls have two since 2009. The four programs have combined for 12 state championships since 2006. In the last 13 seasons, the Lynden boys have made 11 regional/state appearances, and won ten trophies. In the last 12 years, the Lynden girls have placed nine times in 11 appearances. The Lynden Christian boys have been to regional/state seven times in the last eight years, winning five trophies. And the Lyncs girls have won 14 trophies in the last 14 years. With that many horses in the race, it was just a matter of time before three of them got together. 2A Boys Championship: Lynden 57, WF West 53. The Lynden Lions defeated the WF West Bearcats, 57-53, in the 2018 2A State Championship game, Saturday, March 4, in the Yakima SunDome. It was Lynden’s ninth state championship in program history, after finishing third, each of the last two seasons. The Lions and the Bearcats got together just seven days earlier in a regional game at Mt. Vernon High School. The Lions used a two minute span in the second quarter, to ignite a 73-46 victory. The win sent the Lions to the state quarterfinals. The Bearcats played in the Wednesday loser out round, where they edged North Kitsap, 60-59. WF West, who was the #8 RPI seed, then went on to knock off #2-Selah, 57-54, and #3-Foss, 53-50. The Bearcats momentum should have made everyone forget about that 27 point loss to the Lions. Lynden waited for Columbia River to knock out Fife on Wednesday, then they derailed the Chieftains, 44-33 on Thursday, surrendering only nine second half points in the process. That was followed up by a 13 point defensive effort in the first half against Mark Morris, in the state semifinals. The Lions beat the Monarchs, 67-43. In the Championship game, there were early signs that this could be another runaway win for the Lions, as they went out to a 14-5 lead at the end of the first quarter. Blake Silves and Christian Zamora nailed early 3-pointers, as the Lions divided their 14 points, five ways. Clayton Whitman and Zamora hit back-to-back 3-pointers, then Whitman followed that with a jumper to give the Lions their biggest lead of the game, 27-11 with less than three minutes left in the half. Whitman’s bucket was the last field goal of the half for the Lions, however, and the Bearcats squeezed the lead down to ten by halftime, 28-18. The lead could have been larger were it not for the Lions 1-6 from the free throw line in the second quarter. James Marsh was also limited because of early foul trouble. Another Zamora 3-ball lifted the Lions to a 37-24 lead with 3:47 left in the third quarter, and again, that would be it for offense for the Lions. The Bearcats scored the next eight points to cut the lead to 37-32, headed to the fourth quarter. Brandon White, the Bearcats 6-8 senior, hit a jumper in the key to cut the lead to three, just seconds into the final frame. The Lions finally generated a couple momentum plays, as Whitman maneuvered for a 3-point play with 3:11 to go, giving the Lions a six point lead. Then, after two Brandon White free throws, Zamora followed in Whitman’s footsteps, for another “and-one,” and a 49-42 lead. The Lions led by ten with 37 seconds left, but the Bearcats didn’t give in. They scored seven of the games last eight points, to come within four at the buzzer. The Lion team, which finished 22-6 and lists ten underclassmen, celebrated at mid court, achieving the programs ninth state title. It is their third championship at the 2A level, all under 13-year head coach, Brian Roper. Clayton Whitman and Christian Zamora, both juniors, each scored 17 points. Whitman was named the tournament’s Most Valuable Player. Zamora was also named first team all-state. Whitman averaged 16.7 points per game in the tournament. Zamora was a point behind, and averaged 16.3. All 12 Lions logged playing time in the championship game, some only for a few seconds. But the difference between Lynden and several of the other teams in the state tournament was the depth of their bench. Sophomore Brock Heppner, senior, Trey LaBounty, as well as juniors Carson Bode and Dakota Baar, were vital in the Lions championship run, as they gave quality minutes when called upon. For WF West, it has been a quick climb back into the upper echelon of 2A basketball. The Bearcats finished 0-20 in the 2015 season. In 2018, they finished 24-5, with two losses to Lynden, and second in the state. Over the three state tournament games, the Lions defense allowed only 43 points per game. Lion opponents scored seven points or less in five of the 12 quarters of play. Lyn – Kobe Elsner 6, Blake Silves 9, James Marsh 2, Clayton Whitman 17, Christian Zamora 17, Brock Heppner 4, Trey LaBounty 0, Noah Walker 0, Dakota Baar 2, Carson Bode 0, Carter Parcher 0, Jacob Kettels 0. FG 18-41, 43.9%; 3P 6-16, 37.5%; FT 15-28, 53.6%. WFW – Nole Wollan 3, Jordan Thomas 12, Brandon White 17, Colby White 3, Bailey Cooper 14, Bryce Dobyns 4, Tyler Speck 0. FG 18-42, 42.9%; 3P 2-12, 16.7%; FT 15-26, 57.7%. The Lynden Christian Lyncs shot their way to their sixth state title, with an 82-45 win over the Freeman Scotties, Saturday, March 4, at the Yakima SunDome. It was the Scotties third straight appearance in the championship game. The Lyncs last championship appearance was a 2015 loss to Kings. LC junior, Cole Bajema, entered the finale averaging 26.5 points in the Lyncs two wins over Kings Way Christian and The Northwest School. Freeman’s philosophy was to “face guard” Bajema with 6-5 junior, Dylan Oja. Recognizing this, the Lyncs ran two set plays for Bajema, and they worked for a quick 5-0 lead. On the first set, with Oja in a nose-to-nose defensive position, Bajema went from the left low post, around a screen near the top of the key, where he took a pitch and planted a 3-pointer. On their next possession, he started to run the same route, but quickly cut back-door, and took a pass from George DeJong for an easy layin. The Lyncs were up 9-0 before the Scotties hit their first field goal, but then ran off seven straight points to cut the lead to 9-7. But that’s as close as the Scotties would get the rest of the way. Andrew DeVries hit his first 3-pointer with 2:23 left in the quarter, starting a 12 point run, that culminated with another DeVries 3-pointer at the first quarter buzzer. The Lyncs 24 point second quarter was nothing short of amazing, considering the shooting difficulties that most normal teams face in the SunDome. But the 2018 Lyncs are not your ordinary offensive team. With 3:16 to play in the half, Freeman’s leading scorer, and all-stater, Michael Coumont, scored on a layup to cut the LC lead to 28-18. What happened next would be more believable if you were telling a story of the Golden State Warriors. Bajema scored on a layup to extend the lead back to 12, with just under three minutes left in the half. And then came the 3-point show. Luke Bos hit a 3-pointer at 2:35, followed by another one by Bajema at 2:03. Then, it was Bos again, in transition, with 1:26 left. At 1:11, Bajema strokes another one from the same spot on the right wing. Then DeVries grabbed a loose ball after a DeJong blocked shot, and pulled up at the hot spot, and nailed another one with 54 seconds left in the half. The score went from 28-18, to 45-18 in a matter of 2:04 of clock time. The Bajema layin was followed by five consecutive 3-pointers, for a 17-0 run. After a free throw by Oja in the final seconds, the Lyncs led 45-19 at halftime. The Lyncs shot 56 percent from the field for the second time in three days. They would hit 12 of 20 3-pointers in the championship game, and break at least a couple state offensive records in the process. Freeman shot only 26 percent for the game, and that mark finished on a high note, as they outscored the Lyncs 16-11 in the fourth quarter. The Lyncs built the lead to 69-29, late in the third quarter, invoking the 40-point, running clock rule. Bajema finished with 21 points and 8 rebounds. He averaged 24.7 points and 9.7 rebounds in the three games. He also made nine of 15 3-point attempts in the tournament, for a 60 percent pace. DeVries, who was voted first team all-state, scored 18 points on the night, on six of nine shooting from 3-point range. DeVries averaged 15.7 points per game in the tournament. Luke Bos was the final Lync in double-figures, with 17. He hit three of four 3-pointers. With all this good shooting, there must be someone getting them the ball at the right time. That would be senior point-guard Jordan Riddle, who dished out nine assists. The Lyncs tournament total of 242 points, was 20 points more than the 3-day state tournament record set by Zillah, last year. Their 80.7 average also sets a 3-day record. It was the Lyncs second state title under nine-year coach, Roger DeBoer. They finished the season with a record of 27-1. This was the Scotties only loss of the season, and they finish with a record of 24-1. LC – Jordan Riddle 6, Cole Bajema 21, Andrew DeVries 18, Luke Bos 17, George DeJong 5, Michael Lancaster 0, Bryce Bouwman 7, Tanner Jansen 2, Cristian Colwell 2, Cole Langstraat 4, Jake Libolt 0, Zach Sipma 0. FG 26-46, 56.5%; 3P 12-20, 60%; FT 18-22, 81.8%. Freeman – Michael Coumont 14, Rhys Mcvay 0, Dylan Oja 6, Quin Hopkins 8, Jackson Clark 10, Kaleb Ohler 0, Johnny Mcguire 1, Jace Phelan 0, Ryan Crosswhite 0, Jarett Wright 0, Jimmie Pearce II 4, Zach Trumble 2. FG 15-57, 26.3%; 3P 1-17, 5.9%; FT 14-26, 53.8%. Squalicum Senior Damek Mitchell was named as the Most Valuable Player of the Northwest Conference, by league coaches. Bellingham’s Brad McKay was named the Coach of the Year. For complete first and second teams, please see the attachment below.